Having an indoor fountain in your home has many benefits and for each person the top benefit or reason for having it may be different from the next. Some people simply love the sound of water while others appreciate the esthetic value it adds to their surroundings. One thing is for sure that having an indoor water fountain, big or small, have some unthought-of of benefits. There are hundreds different kinds of water features designed to place in your home. They range from small table top fountains to large intricate wall waterscapes in various designs. Whatever your choice may be you are sure to reap the following top 5 benefits of having indoor water fountains in your home. In our modern times where we are living fast paced lives, everything needs to be done quickly, and stressful situations are at the order of the day, coming home to the tranquility of the sound of water is bliss. Having a running water fountain in your favorite room where you like to end a day and relax is just what you need to create a serene and peaceful environment. A water feature that greets you the moment you enter your home is an equally good thought to lower stress levels once you walk through the door. Water is an interesting, living, décor element that can create charming focal points in just about any room of your home. More often than not, water fountains are unique pieces of décor and with the correct illumination added, you can transform an ordinary focal point into something spectacular. By adding some plants around it to cover can add an element of mystery to the scene. Water tends to have a calm reaction on most people and if you need to damp down some other disturbing noises while trying to work and even sleep water is the perfect way to do it. With an indoor fountain you will hear less traffic noise, animals or people distracting you from your much needed sleep or ability to work in peace. During winter especially the air in our homes becomes dried out which in return can cause some health problems. One is a sudden dry skin that can cause us to be itchy and uncomfortable. Having a running water feature in the house will help to replace the moisture back into the air. Not only is it good for us but is good for our indoor plants as well. It is no secret that there are concerns about the quality of the air we breathe everyday all over the world. This concern is especially prevalent in offices where there are no windows that can open. It is true that air purifiers are available but even they have their drawbacks. They make a noise, are unsightly and produce negative ions. Indoor water features produce negative ions too but it attracts dust and additional irritants in the air and removes it. In addition water features are beautiful and makes a noise that most people adore. Much more that we can say from the typical commercial air purifiers. Regardless what the reasons are for choosing your indoor water fountain, there are more advantages to it than what most people might have thought. With these benefits in mind, make sure you have a delightful indoor water fountain around where ever you spend the most time of your day. Pets are our best friends but did you know that they can also make the best workout buddies? Unlike people, pets are always ready to follow you outside the door and will never complain about hills or cancel schedules. In a study by the Michigan State University, it was found that those people who owned canines were were 34% more likely to get the 150 minutes recommended for exercise every week then those who had none. You don’t need a lot of time and effort to provide your pet with enough activity. There are a lot of activities that you can do together to strengthen the bond between you and to stay mentally and physically healthy. Here is a list of 6 fun things and training sessions to do with your pet. Running is one of the best activities that you can do with your pet. Since pets are creatures of habit, they can greatly help you to accomplish your weekly mileage targets. Once they get used to this routine, they will be the ones waiting for you besides your sneakers. This may prove very encouraging since their excitement can change your attitude even if you were not feeling like training that day. When you have developed a perfect training buddy, you can now even take your companion to events organized for four-pawed runners and their owners. Kayaking is another great activity that you can engage in with your pet. Go out with your pet on a sit-on-top kayak and first help your boy learn how to get in and out. Once they are good with that, you can take it out for a spin in the shallow waters that are close to the shore. Remember to stick to the slow moving rivers that do not get a lot of traffic. Have you ever seen your dog doing morning stretches? Well, if you didn’t know it turns out these pets are ancient to this practice. You can help them learn and try a few more poses. As you do this with them, it will also give you the opportunity to do regular health check for example feeling if there are any lumps under their fur. There are some pets that love soccer games, especially the herding breeds. If you love soccer too, you can go out and buy soccer-style balls which are resistant to sharp teeth. You can start by teaching your boy how to kick and dribble using their paws and nose. Fetch is another great game that you can play with your canine. You can do it by putting the ball away and then running for it. You can also throw the ball and let your pup run after it as you do some muscle-building moves like lunges and crunches. If your pet has a lot of energy, biking will be perfect for both of you. It may also help them in case of any behavioral issues which may be due to not getting enough exercise. When your pet gets enough exercise, it will stimulate their brain to produce serotonin, the hormone that make anxious and aggressive pets relax. One of the most important activities or hobbies any home can engage in is gardening. Gardening is something that should be taking seriously in every sanctuary that is really a home. It is not just some kind of fun or part time hobby to work around some farming practices or planting some vegetables and fruits you heard about. If properly done the right way, gardening can serve as a constant source of food for your entire family. In the olden days before civilization took a greater part of some cultural practices, gardening was taken as an integral part of life. In fact it was impossible to find any home without a garden. So if you had a family then, they could have only survived on the food you got from your garden. Thus the art of planting crops and veggies was something that was very common then. However, nowadays not everyone knows what it takes keep a productive garden around their home. In this post we will discuss 7 ways to get the most out of your home and garden in order to reap a bountiful harvest every season. If there is anything you should take very seriously when situating a new garden is picking the right location and topography. Using an awkward area that doesn’t have access to plenty of light will affect your harvest. 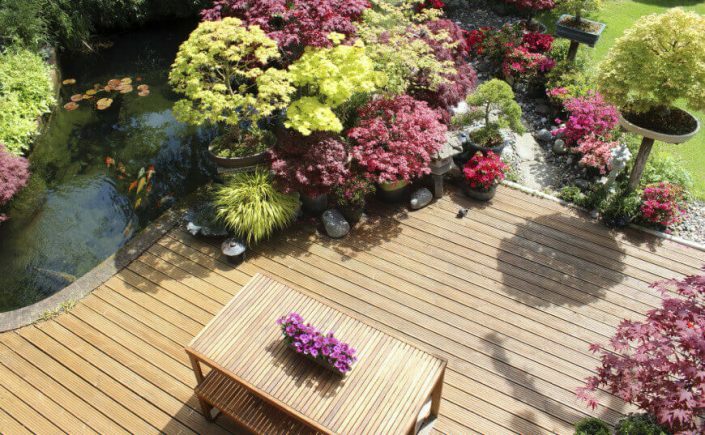 Ideally, a wide space that gets plenty of sunlight will go a long way in securing your little backyard plantation. Most people just rush into planting their best vegies and fruits without taking time to build up the soil they want to use. If you desire to realize high turn-outs from every season, then you must spend time in preparing the soil for plantation. You have to build up an organic soil that is deep and rich in soil nutrients. This is what facilitates the growth of crops. You need to create enough space for each bed in order to increase yield. The plants should be arranged in such a way that they wouldn’t intermingle with each other. Ideally you should adopt a triangular pattern when spacing and situating each bed. A tight spacing can induce stress as well as attack from pest and insects. Composting everything is a good way of improving the fertility of the soil. You need to first feed the soil microbes with compost and organic manure in order to build a healthy soil. The microbes are responsible for supplying nutrients for the sustenance of the crops; so when they are well fed, the plant will be strong. Mixed cropping or inter-planting is a good way to save space around the home. When there is need for space to pitch other structures in the house, you can inter-plant crops that are compatible. Make sure the crops can comfortably exist together before going ahead to interplant them. For instance, radishes, onions and carrots can go well together. Pest control is a prerequisite to having a healthy productive garden. You can make the most of your garden by taking control measures to get rid of pests around the garden. Using wired electric fences and organic sprayers are some of the measures you can take to keep away common pests like rabbits, dogs, deer and bugs. Crop rotation also helps. Preservation is needed for anything to last long; your home and garden is no exception. If you want to sustain your family through with the proceeds from your garden then you must learn how to preserve through freezing, dehydrating, and canning. This will ensure that your favorite veggies and fruits are available all year round. All you need is to follow a good plan. Perhaps a gardening book on food preservation will help. If you like dogs, and most especially you like small energetic dogs, you may find that a terrier is among the best you can get. They can be “best buddies” with you, and they need very little grooming but have “sense of humor” besides. Terriers were originally bred to hunt and kill vermin, but their pet status is unsurpassed because they are so lovable and have several desirable features when it comes to finding a dog you like. They are intelligent (although they may not be the most intelligent of the breeds), and have several other advantages other breeds may not. Soft Coated Wheaten Terriers are very alert and spirited, but not timid. They have steady dispositions and confident heirs, which means that you can count on them in stressful situations. Because they are very intelligent, there are also particularly suitable for obedience training. The Parson Russell Terrier is bold, clever, affectionate and exuberant. 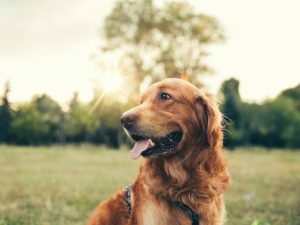 If you are high-energy and like to play a lot, this may be the dog for you, but if you may not have patience for a particularly spirited dog, you may want to find another type. Of all the breeds, this dog is likely going to need formal obedience training the most, because it will be too playful and too mischievous with its owners to really pay attention. However, if you’re patient and you like playfulness and a streak of independence, this terrier may be for you. The Norwich terrier came about because small terrier breeds were bred with even smaller chair breeds like Yorkshire terriers. This type of dog is very content to live modestly and doesn’t need a lot of room. Their dispositions are affectionate, fearless, and alert. Because they’re happy and steadfast, this makes them ideal pets. Norfolk Terriers are a lot like the Norwich Terriers, and are fearless, charming, ready to play, and spirited. They look a lot like Norwich Terriers, but they have folds in their ears that set them apart. Kerry Blue Terriers make excellent watchdogs and are very suitable for the farm environment. The dog’s name comes from its “blue” coat, originally black in puppy hood. Wire Fox Terriers are very powerful and fast. They’re very alert and have quick movements, which makes them suitable for very active lifestyles. It’s imperative, though, that the owner take control of the dog and train it. It also needs to get plenty of exercise. Smooth Fox Terriers are lively dogs that like to play, and they are very intelligent and clever. Suitable for both the country and city, they take to training well. They are also usually very affectionate with their owners. These are just a few of the terrier types available; you may want to consider one as your next pet. Generally, these dogs have good dispositions and make excellent pets. They tend to become very attached to their owners, and can be very playful. It should be noted, though, you need to give them enough attention and to put them through obedience training (formal if necessary), as well as give them enough physical activity to keep them well and active. A dog is man’s best friend. You will find one in almost all homesteads. It acts as a companion, security, and play partner among others. It is, therefore, essential to involve your dog in all activities as much as you can.You can do this by playing with him and teaching him new cool tricks. Teaching pet tricks can be one of the sources of joys and pleasure in your life. Seeing your pet grow confident each day, happy and contended with the attention he gets from your merits more love and stronger and genuine bond. What tricks are fun and easy for your dog and how do you teach them? 1. Shake- This method is similar to a handshake we individuals do to welcome or to thank someone. It’s cool when your dog learns this skill, and it’s simple. Lift your dogs’ paw and say, “SHAKE” loudly then give your treat and say “SHAKE” once more. Continue raising your dog’s paw and give it treats until it’s able to do it on its own. 2. Bow-With this command, your dog will bring his head to the floor. To teach this treat, you only hold a treat in front of your dog’s nose and let your dog follow as you bring it downward. Say “BOW” slowly as he nods his head. After a while, your dog will learn how to do it. 3. Kiss-Dogs don’t kiss, they lick. So the trick is to say “KISS ME” anytime your dog licks you. Soon, your dog will “kiss” you anytime you give him this command. It is the best way to appreciate it whenever it behaves in the right manner. 4. Catch- Some dogs naturally know how to find food before it hit the ground. So, when you toss a treat up into the air, say “CATCH” and your dog will recognize the command the next time you order it. 5. Fetch- It’s another treat that comes out naturally for most active dogs. You throw a ball and say “FETCH.” Run with your dog and as soon as your dog retrieves the object take the object from him and give him a treat. Do this continuously until your dog automatically run and give you the object to exchange it for his reward. Teaching tricks are having fun and at the same time giving your dog new knowledge to cope up in human society- a society considerably different from his. It is also wise to consider all the risk factors that could be associated with the process of learning. A dog owner should do research to identify his type of dog. Different dogs have unique capabilities and through the identification of which category your dog lies is paramount. You should also use the right methods of teaching the dog for it to learn quickly and fast. Do this with positive reinforcement and achieve it without any negative force or intimidation. Remember, to give your dog a handful of treats, not a mind full of threats. The above information is all a dog owner requires in ordering to enjoy his pet to the utmost. What to Expect from the home market in Canada in 2017? The real estate market in Canada has been in the middle of a large boom with a gain of over two hundred dollars in prices for homes since 2006. This steady increase in prices has fueled other areas across the country. The reasons for the increase have been an increase in energy production from the oil sands areas that have been opened up and developed. When there is more money available, investment in real estate is one of the primary areas affected. According to the quarterly forecasts in the markets, the Canadian markets should still see a bit of a rise then start to level off. Most of the areas in Canada are compared together but the Vancouver and BC areas are considered to be the guides according to what the future market may do. Prices in the areas of BC and Vancouver are flattening and may decrease during the early part of 2017. This in turn will affect the rest of the market and at the least, cause a leveling out of prices and homes offered for sale. The recent withdrawal of Great Britain from the European Union has some interesting repercussions in global markets worldwide and those in Canada are not exempted. The overall feeling is that the lending rates will remain low and the real estate will continue to reflect that in the different regions of the country. The best recourse for investors is to look at the local markets closely and keep an eye on what the markets around the world are doing. If the chaos in the markets continues, it could be a benefit for investors. Right now, the banking industry is in a bit of an upset and the jitters will likely continue for some time to come. 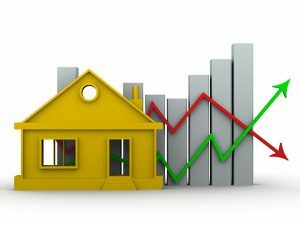 The Canadian real estate market has seen jumps and drops in the prices of homes and businesses before depending on financial markets and how they are set up to work with investors or to help stimulate the economy. Both of the goals are part of keeping the country stable when events spin out of control. The upcoming elections in the United States also may have something to do with the markets. If a president is elected who will work with the developers to bring oil from Alberta to the Gulf of Mexico, the price of real estate will definitely be affected. For right now, the best bet is to keep abreast of the changes and look over real estate carefully before buying or even selling. If prices continue to rise than the homeowners who sell now may find it difficult to re-invest in property nearby as the prices will rise says Homeservice Club of Canada. Temperance and judgement are both required in this climate for Canadian real estate. What are some furniture places that are better quality than IKEA but still affordable?